On the older building paints, lead paint was used to give a cheap shine. It can be very dangerous for your health, especially brain. So, it needs to be removed completely before you apply a fresh coat of paint. It needs highly skilled paint removers to peel off the paint safely so that it doesn’t spread much dust of the lead. 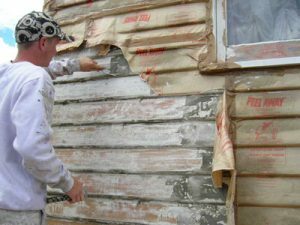 At Painting Companies in Sydney we have highly skilled tradesmen who can provide you highest standard lead paint removal service and thus you don’t need to search for find me a lead paint removal company any more. Lead is toxin and some paint variants comprise this chemical. In fact it was previously found in different exterior and interior paints. To avoid living in a surrounding which is affected by the presence of this chemical substance, Painting Companies in Sydney appoints professionals experienced and equipped to handle lead paint removal. Give us a call at any point of time to get rid of this dangerous chemical.